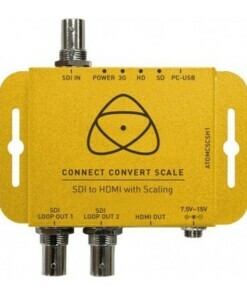 The Atomos Connect Convert Scale HDMI to SDI, featuring full size 3G/HD/SD-SDI, lockable HDMI, lockable DC power, removable included mounting ears and conversion/frame rate/resolution scaling up to 1080p60. 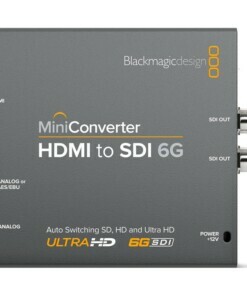 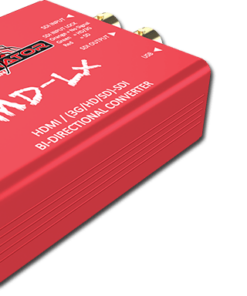 If you need to simply convert the HDMI output from your mirrorless camera to SDI to go into a wireless transmitter or switcher, then the Connect Convert HDMI to SDI will do the task for you. 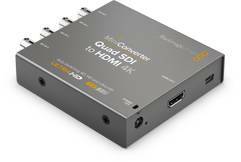 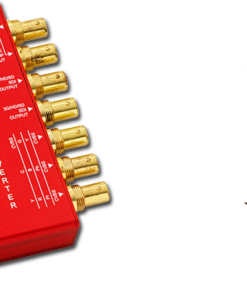 If you want to integrate HDMI devices into a more professional broadcast system, then use the HDMI to SDI Convert unit with a built-in synchronizer. 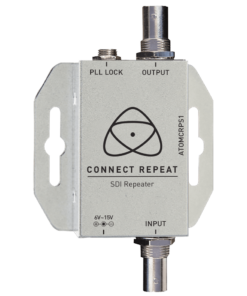 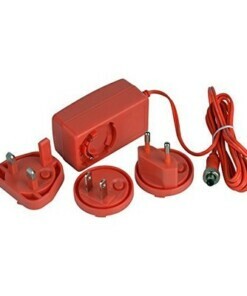 It is signal-referenced to provide a proper input to Switchers or Vision Mixers and provides an extremely cost-effective solution for systems integrators. 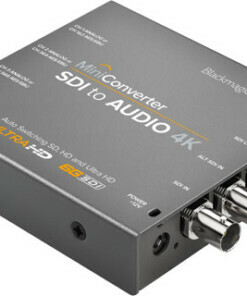 There are 15 models in the line-up for Broadcast and ProAV integrators, with 6 colour coded families to make finding the right product for the right solution easy. 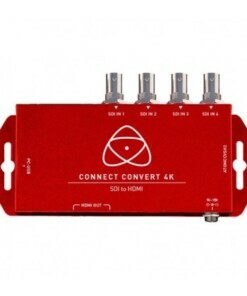 Each converter comes in a slimline metal housing with removable mounting ears, allowing for flexible mounting options for Broadcast and ProAV applications.